More than half a million expats living on frozen state pensions could get a 2.5% hike in their pension payouts bringing them in line with other retirees from April, if a move backed by UK leader of the opposition Jeremy Corbyn, to attempt to lift the block, succeeds in UK Parliament next week. State pensions can become fixed when you first retire or move abroad if you decide to live in certain countries, including Canada, India and Australia, but not in others, where the amount that they receive is uprated annually, as it is in the UK. The pension freeze applies to an estimated 550,000 Britons who live in one of the 120 countries that do not have a reciprocal agreement with the UK requiring that uprating takes place, and campaigners estimate that more than half of expat pensioners do not get an increase. As reported, Brexit has heightened political interest in frozen state pensions, because another estimated 472,000 people, who have retired to other EU countries, currently get automatic annual increases, but it is unclear whether the UK will strike a deal for this to continue after its departure. 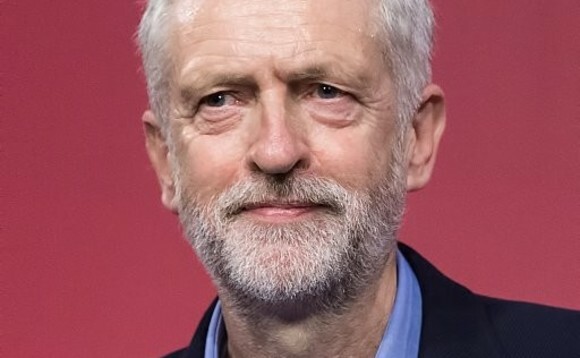 Labour leader Corbyn, a long-standing supporter of the campaign against the freeze, will now seek a vote in Parliament on regulations which will exclude some overseas pensions but uprate all others by 2.5%. Labour, backed by other parties, including a number of rebel Conservative MPs, has just a week to secure a House of Commons debate and vote, as it rises for Easter recess on March 30 and the uprating regulations come into force on April 10. The Labour leader said in in a statment: “This is a chance to make an historic change to our pension system and end the arbitrary discrimination against some British pensioners living overseas. “It is contrary to natural justice for some pensioners living abroad to be left behind while others have their pensions increased in line with inflation. A motion to annul the Social Security Benefits Uprating Regulations 2017, which officially excludes some overseas pensioners from getting an annual increase in their state pension, is sponsored by Corbyn and backed by the Tory MP and longtime campaigner against frozen pensions Sir Roger Gale, the SNP’s Ian Blackford, Greg Mulholland of the Lib Dems, Sammy Wilson of the DUP and Caroline Lucas of the Greens. John Markham, chairman of the International Consortium of British Pensioners (ICBP), said on the organisations website that Labour’s support represented a “significant step” in the campaign to unfreeze expat pensions. “Frozen pensions are the dirty secret of successive governments, who have been content to ignore pensioners they felt were out of sight out of mind, regardless of the implications,” he said. “Many expat pensioners are just as reliant on their state pensions as those living in the UK. Freezing their pensions leaves recipients with dwindling incomes, deprives them of their prized independence and leaves many in dire poverty towards the end of their lives. According to various reports, the Department for Work and Pensions has estimated that the unfreezing state pensions for relevant expats would cost more than £500m a year. Brexit has heightened political interest in frozen state pensions, because the 472,000 people who have retired to other EU countries currently get automatic annual increases, but it is unclear whether the UK will strike a deal for this to continue after its departure. That means elderly EU expats would join the other 550,000 retirees whose payments no longer increase in line with the state pension triple lock – whichever is the highest of inflation, average earnings or 2.5% – as they do if you stay in or return to the UK. According to the ICBP website, more than 95% of the current “frozen” pensioners live in Commonwealth countries, mostly in Australia, Canada, South Africa and New Zealand, but also India, Pakistan, Bangladesh, many Caribbean islands and all African countries.